This week (January 16-11) in English literary history – Anne Bronte was born (January 17, 1820); Benjamin Franklin was born (January 17, 1706); A.A. Milne was born (January 18, 1882); Rudyard Kipling married Carrie Balestier (January 18, 1893); Rudyard Kipling died (January 18, 1936); Edgar Allan Poe was born (January 19, 1809); Robert Frost read a poem at John F. Kennedy’s inauguration (January 20, 1961); George Orwell died (January 21, 1950); George Lord Byron was born (January 22, 1788); Francis Bacon was born (January 22, 1561). On January 19, 1809, Edgar Allan Poe was born in Boston, Massachusetts. Poe’s father and mother, both professional actors, died before the poet was three years old, and John and Frances Allan raised him as a foster child in Richmond, Virginia. John Allan, a prosperous tobacco exporter, sent Poe to the best boarding schools and later to the University of Virginia, where, after less than one year of school, he was forced to leave the university when Allan refused to pay Poe’s gambling debts. Poe then returned briefly to Richmond, but his relationship with Allan deteriorated. In 1827, he moved to Boston and enlisted in the United States Army. His first collection of poems, Tamerlane and Other Poems, was published that same year. In 1829, he published a second collection entitled Al Aaraaf, Tamerlane, and Minor Poems. Neither volume received significant critical acclaim. Following his Army service, Poe was admitted to the United States Military Academy, but he was again forced to leave for lack of financial support. He then moved into the home of his aunt Maria Clemm and her daughter Virginia in Baltimore, Maryland. Poe began to sell short stories to magazines around this time, and, in 1835, he became the editor of the Southern Literary Messenger in Richmond. In 1836, he married his cousin, Virginia, who was fourteen years old at the time. Over the next ten years, Poe would edit a number of literary journals and it was during these years that he established himself as a poet, and short story writer. He published some of his best-known stories and poems, including “The Fall of the House of Usher," “The Tell-Tale Heart," “The Murders in the Rue Morgue," and “The Raven.” After his wife’s death from tuberculosis in 1847, Poe’s lifelong struggle with depression and alcoholism worsened. He returned briefly to Richmond in 1849 and then set out for an editing job in Philadelphia. For unknown reasons, he stopped in Baltimore. On October 3, 1849, he was found in a state of semi-consciousness. Poe died four days later of “acute congestion of the brain.” He was buried at Westminster Burial Ground in Baltimore. 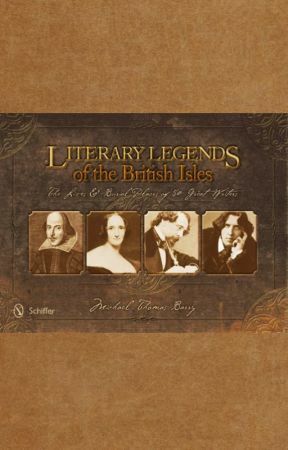 Michael Thomas Barry is the author of six nonfiction books that includes the award winning Literary Legends of the British Isles and soon to be released America’s Literary Legends. Visit Michael’s website www.michaelthomasbarry.com for more information. 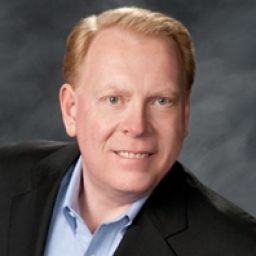 His books can be purchased from Schiffer Publishing, Barnes & Noble, Powell’s Books, Amazon and other fine book sellers.